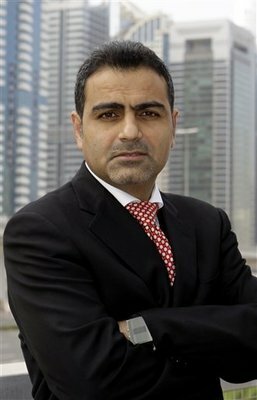 Misleading advertisements and press releases, overselling of non existing space and the missing down payments are among the buyers’ documented complaints, according to Moses Oye, a British investor and spokesperson for the Al Fajer Properties Investors Group having investors from US, UK, Russia, Iran, India, Canada & Pakistan. “We are calling on Dubai’s Real Estate Regulatory Authority (RERA) and the Dubai Ruler’s Court to investigate the developer, cancel the Ebony Ivory project and compel a refund of our $140 million in down payments,” said Oye. In reality, the photos were taken at another Al Fajer Properties site and currently there is only a hole in the ground at the Ebony Ivory project, according to Oye. “Had we known that Al Fajer Properties was presenting false and misleading photographs, we would never have invested in the development,” he said. In the past year, there has been virtually no construction on the site, said Oye. In addition, investors have learned that the developer sold approximately 250,000 square feet more space than the maximum built-up area allowed by government permit – another indicator of potential fraud selling air. Most importantly, Al Fajer Properties paid Dynasty Zarooni Inc approximately $55 million of the $140 million collected in down payments that should have been deposited in an escrow account, Oye said. “We demand our money back and want to know why Al Fajer gave those funds to Dynasty Zarooni rather than use them for construction,” continued Oye. To date, RERA has ignored the investors’ demands of a transparent investigation and the evident violations of RERA regulations and UAE criminal laws in order to serve the interests of Sheikh Maktoum Bin Hasher Al Maktoum and Al Fajer Properties, said Oye. “What do you do when the independent government agency trusted by the Ruler of Dubai to regulate and monitor the real estate developer’s performance actually participates in a cover-up operation that deprives investors of their rights? What does that say to the world about the security of real estate investments in Dubai? Where is the transparency and accountability Dubai Ruler ordered? Summing up the case, Oye raised grave concerns about the recent threats some of the investors have received and quoted attorney Salim Al Shaali who represents plaintiffs in a criminal case against the Ebony Ivory sales agency for misrepresentation. “We have full trust in Dubai justice system. I personally guarantee all investors that Dubai government will never allow a few individuals to abuse their social or official positions for illicit profits and damage the reputation of the brand Dubai as a safe and most secure investment hub in the region. A member of the royal family (Sheikh Maktoum Hasher Maktoum Al Maktoum) in the United Arab Emirates has for the first time been sued by an Iranian executive on charges of fraud. Shahram Abdullah Zadeh has sued the brother-in-law ( Sheikh Hasher Maktoum Al Maktoum) of the emir of Dubai ( Sheikh Mohammed bin Rashid Al Maktoum) in an unprecedented civil action in the UAE. The 37-year-old Iranian national has accused the brother-in-law, Hasher Maktoum Bin Juma’a Al Maktoum, of trying to take over Zadeh’s real estate firm. The suit has challenged the transparency of the justice system of Dubai, which requires foreign investors to take on a UAE partner. Zadeh said he reverted to a civil action when prosecutors refused to file criminal charges against Hasher. Zadeh, a life-long resident of Dubai, said he selected Hasher as the required UAE partner in Al Fajer Properties, established in 2004 and now worth $2 billion. Zadeh said he and Hasher fell into a dispute amid delays in building a billion-dollar office tower. The economic downturn in the UAE has harmed a range of partnerships with foreign investors. In Dubai, the commercial capital, police have detained nearly 20 executives on suspicion of fraud. None of the detainees was connected to the ruling Al Maktoum family. Zadeh said Hasher Maktoum Al Maktoum, who ignored two summonses, exploited his connections to the ruling family to have the Iranian arrested. In February 2008, Zadeh was imprisoned for 60 days and pressed to renounce links to Al Fajer. As Zadeh languished in prison, Hasher Maktoum Al Maktoum was said to have taken over Al Fajer and appointed his son chief executive officer. By the time, he was released, Zadeh found that his office safe was ransacked and cleansed of any documents that linked him to the company. At one point, Zadeh appealed to Dubai’s emir. He said the emir did not respond to the complaint against his brother-in-law. “We understand that Al Fajer Properties is controlled by a powerful member of Dubai’s ruling family,” Moses Oye, who represents investors in another Al Fajer project, said. Still, Al Fajer continues to operate. On April 15, Al Fajer and the Dubai Real Estate Regulatory Agency, RERA Dubai, announced the first transfer of property using a new official online system. Hasher’s son, Maktoum, was identified as president of Al Fajer. Zadeh was not mentioned. 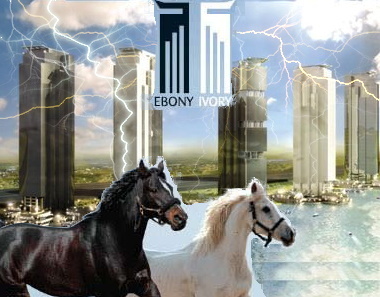 Foreign investors have demanded an investigation of another Al Fajer project, Ebony Ivory. The investors, alleging fraud, have called on the Dubai Real Estate Regulatory Agency to force Al Fajer to issue a refund. DUBAI, United Arab Emirates — In this Gulf city-state, two things have long been untouchable: business interests and the ruling family. However, an attempt to sue a member of the family over an alleged financial swindle is a sign of how much the economic crisis has rattled business as usual here. Shahram Abdullah Zadeh accuses the brother-in-law , sheikh Hasher Maktoum Al Maktoum, of Dubai’s emir illegally of taking over his real-estate firm Al Fajer Properties and having him detained by police to help the swindle. Zadeh, a 37-year-old Iranian national who has lived in Dubai all his life, brought a civil case against the brother-in-law and his son Sheikh Maktoum Hasher Maktoum Al Maktoum to get his firm Al Fajer Properties back, a rare move. Even more surprising, shrahm Zadeh tried to raise criminal charges, but that step went nowhere because prosecutors rejected it. The case has raised questions about whether Dubai really is what it claims to be: A boomtown where international businessmen can safely invest and turn a profit; or rather, a nest of cronyism and connections where royal blood can still trump entrepreneurial effort. Such questions were largely ignored by everyone – businessmen and politicians alike – as long as the cash was rolling in during Dubai’s stunning expansion over the past decade. But now the emirate has hit the skids in the world financial crisis. “During the boom, Dubai’s shortcomings were glossed over, but now that the economy is struggling, it’s becoming a different story,” said Christopher Davidson, an author of two books on the United Arab Emirates and a lecturer at Durham University in Britain. Dubai’s emir, Sheik Mohammed bin Rashid Al Maktoum, led the emirate’s vast financial ambitions. But business ran far ahead of the effort to modernize legislation in what remains a traditional Arab monarchy, where the ruler and his family hold final say. Now the government has been trying to rein in some fast-and-loose business practices. About a dozen former executives are in custody for various investigations. Some have close ties to the government, but none of those in custody are related to the ruling family. Zadeh’s case goes farther – breaking to taboo of questioning Dubai’s leadership. Zadeh says he’s a victim of a system in which the rulers can manipulate police and the courts to protect their business. “If Dubai cannot provide security for foreign investors, they might as well switch off all the lights,” he said. Attempts over the past weeks by The Associated Press to contact the brother-in-law, Sheikh Hasher Maktoum bin Juma’a Al Maktoum, were unsuccessful. Hasher Maktoum Al Maktoumand his company attorneys did not return repeated phone calls or respond to interview requests. In the first session of Zadeh’s civil case, Hasher Maktoum Al Maktoum and his lawyers failed to appear. In the second a week ago, his lawyer asked the court for more time to study the allegations. The case is to resume May 4. Zadeh and the Sheikh Maktoum Hasher Al Maktoum went into business in 2004. Foreigners are allowed to deal in property only after finding an Emirati sponsor to officially register a company. The usual practice is for the Emirati sponsor to give his signature for an annual fee or profit share. Several members of the sprawling ruling family are involved in such deals. Zadeh set up a firm, Al Fajer Properties, and was chief executive while Sheikh Hasher Maktoum Al Maktoum held the trade license. The firm was profitable and is now worth about $2 billion, according to Zadeh. But the partnership soured over delays in building a commercial tower, Juemirah Business Centre. Zadeh said in an affidavit to Dubai’s attorney general that he was arrested in February 2008 and held for 60 days. He says he was never charged with any crime but was questioned over his business – including the combination of his safe. While Zadeh was in detention, Sheikh Hasher Maktoum Al Maktoum took over the company Al Fajer Properties by appointing his son Sheik Maktoum Hasher Maktoum Al Maktoum as chief executive, ousting Zadeh, according to Zadeh’s filing. When he was released, Zadeh says he found his office safe had been cleaned of documents showing he was the owner of Al Fajer Properties and Hasher Maktoum Al Maktoums partner. Al Fajer documents listing him as CEO and transactions that his lawyers contend show he was the sole investor. The Associated Press was given a copy. Sheikh Hasher Maktoum Al Maktoum “thought he could do it all because he’s a Sheik,” Zadeh said. Police refused to comment on whether Zadeh was detained. Shahram Zadeh says they continue to hold his passport and so far he has had little luck pushing his claims. He submitted a criminal complaint but the attorney general refused to investigate, giving no reason. Zadeh then filed a complaint directly to Dubai’s emir, who holds what is called the Ruler’s Court. Residents can bring to the emir what they believe are injustices unaddressed by the courts – from disputes over money to wrongful deaths. Zadeh says he has received no response. The petitioners have asked RERA to cancel the Ebony Ivory project and require Al Fajer Properties to provide a full refund, alleging legal violations by the developer, including fake construction photographs and misleading press releases. 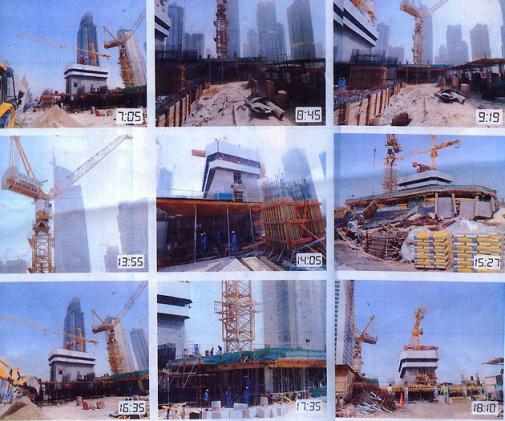 In its complaint, the investor group cited advertisements in a local daily newspaper published in July, 2008 that show construction cranes with Al Fajer Properties logo and a structure rising six floors above ground. The caption read: “Shot on location on 10th June 2008, Ebony Ivory, Jumeirah Lakes Towers. However, independent media reports have confirmed that the photographs actually showed Al Fajer’s other project, Jumeirah Business Centre Towers. In reality, the site for Ebony Ivory Towers is merely a hole on the ground with no workers or machinery on site. The investor group has sought for an explanation from Al Fajer Properties and has raised the issue with RERA on a number of occasions, without receiving a response for the past six months. Now the investor group is ready to seek further legal action against Al Fajer Properties and Dynasty Zarooni. 500 internationale Immobilienkäufer und Investoren, die der Ebony Ivory Investors Group angehören, haben eine Petition unterzeichnet, in der sie Dubais Immobilienaufsichtsbehörde (RERA) und den Dubai Ruler’s Court auffordern, das Ebony Ivory-Towers-Projekt ( Juemirah Business Centre Phase 2) von Al Fajer Proeprties zu untersuchen. Die Unterzeichner werfen dem Bauträger Al Fajer Properties Rechtsverstöße wie falsche Baufotos und irreführende Pressemitteilungen vor und fordern die RERA auf, das Ebony Ivory-Projekt aufzulösen und Al Fajer Properties zur vollständigen Rückerstattung zu verpflichten. Unabhängige Presseberichte bestätigten jedoch, dass auf den Fotos in Wirklichkeit ein von Al Fajer Properties anderes Projekt zu sehen war, die Jumeirah Business Centre Towers 1 bis 5. Tatsächlich handelt es sich bei der Baustelle von Ebony Ivory Towers lediglich um eine Baugrube ohne anwesende Gerätschaften oder Arbeiter. Die Investorengruppe verlangte eine Erklärung von Al Fajer Properties und machte die RERA wiederholt auf die Angelegenheit aufmerksam, hat aber im Laufe der vergangenen sechs Monate keine Antwort erhalten. Nun sind die Investoren zu weiteren rechtlichen Schritte gegen Al Fajer Properties und Dynasty Zarooni bereit. Fake pictures allegations and a member of the ruling family , Sheikh Maktoum Hasher Maktoum, linked to a 429 pound million Dubai property row that has touched nerves across the city. “Fake” pictures are at the heart of a property scandal that could harm the reputation of the once-booming real estate market in Dubai. A major property development firm, Al Fajer Properies, with links to the ruling family of the UAE city-state, and the firm’s marketing agency Dynasty Zarooni, are accused by investors, many of whom are UK citizens, of obtaining millions of pounds through the use of false construction photographs. On Thursday, after local and regional media had been alerted to the situation by angry investors, news agencies across the city said they were silenced by senior representatives of the Government of Dubai, as orders were issued for reports of the storm to be pulled. Around 500 property buyers of varying nationalities collectively purchased three planned tower blocks named Ebony 1, Ivory 1 and Ivory 2 in the Jumeirah Lakes Towers area of the Gulf city last year from property development firm Al Fajer Properties, at a total cost of £428 million. The firm is part of the Al Fajer Group, ran by company president Sheikh Maktoum bin Hasher Al Maktoum, brother-in-law to the supreme ruler of Dubai, Sheikh Mohammed bin Rashid Al Maktoum. But at the weekend it was claimed that Al Fajer Properties and its marketing agent Dynasty Zarooni misled their customers into parting with millions of pounds by presenting photographs showing construction of three buildings, purported to be Ebony 1, Ivory 1 and Ivory 2, up to the sixth storey. In fact the photographs were of buildings on neighbouring plots. Today, the plots on which Ebony 1, Ivory 1 and Ivory 2 are to be built, are empty holes in the ground, as our photographs show. Mr Oye, who has parted with a little over £1 million – 20% of his total purchase price – had made the seven-hour flight from London to Dubai specifically to chair a press conference to raise awareness of the mess, after official government channels failed to take action. However, the press conference was cancelled at the last minute by the hotel where it was to be held, citing “health and safety reasons.” The hotel, Dubai’s Mina A’Salam, is owned by Dubai Holdings, a Dubai government-controlled holding company. “I asked for the reason to be put in writing, but the hotel refused,” Mr Oye said. “So I asked for a suite. But they said they did not have anything. I personally believe that the powers that be cancelled the meeting.” When contacted, Mina A’Salam management did not respond. The conference was called to highlight a petition signed by the 500-strong investor’s group urging the Dubai Real Estate Regulatory Agency (Rera), the government body which oversees the Dubai property market, to force Al Fajer Properties to refund the £86 million that has to date been collected by the firm from investors in the three towers. government figures ordering them to be pulled. The lack of progress on the three towers is a source of deep concern for the investors. Many real estate projects across Dubai were put on hold or cancelled as the torrent of easy credit that fuelled rampant development in the city ran dry with the onset of the global financial crisis. “Whether Al Fajer are still going to construct or not is neither here nor there,” Mr Oye said. “They would not have got my money if they had not shown me fraudulent pictures.” Al Fajer Properties also declined to comment. The pictures also appeared in an advertising campaign in a Dubai-based national newspaper last July, with the caption, “Shot at location on 10th June 2008. 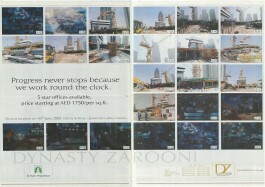 Ebony & Ivory – Jumeirah Lakes Towers.” The two page spread included the seals of Dynasty Zaronni and Al Fajer Properties. Dynasty Zarooni also neglected to comment. The news will further dampen the spirits of the once-booming Dubai real estate market – a vital facet of the city’s economy. Last year a number of senior executives from major property developers across the city were arrested in a high-profile fraud clampdown as the government sought to clean up the property sector. With it, the global recession has brought a host of new problems. Many construction firms operating in the city, some of which are UK-based, are owed millions of pounds by Dubai property developers struggling with a lack of liquidity. Among them is UK engineering giant WSP. The firm’s finance director Peter Gill revealed that the firm is owed £28 million by Dubai-based developers, some controlled by the city’s government. Dubai’s property market has been likened by some to a giant ponzi scheme, where bigger and more grandiose projects were announced in a bid to keep investment rolling in until the financial crisis tamed the city’s galloping development. At Cityscape Dubai, a major property exhibition held last October, government-controlled developer Nakheel, responsible for the giant palm tree shaped islands off the coast of Dubai, announced it was to build the world’s first 1km high tower. The Nakheel Tower – if ever built – will eclipse the current world’s tallest building, Dubai’s own Burj Dubai. Meanwhile, state-owned developer Meraas unveiled a mammoth £16.3 billion development called Jumeirah Gardens, to be built in place of an existing residential area in the city. Today, the plot where the world’s new tallest tower should be under construction is little more than a sun-baked stretch of desert. Work on the Nakheel Tower was halted in January, and work on vast swathes of Jumeirah Gardens has also run aground. The national media blackout over the Al Fajer case is unusual even in a country gripped by a harsh media law, and a pending new law, that has already drawn criticism for its prohibition of free speech. A report by the US-based Human Rights Watch group into the UAE’s pending media law, Just the Good News, Please, was published last month. “(The pending law) includes troubling content-based restrictions on speech, draconian fines, and harsh registration requirements,” the report said. Heerkani Chohan is the pseudonym of a journalist living and working in Dubai. In Dubai braut sich sich derzeit ein bedeutender Immobilienskandal zusammen. Al Fajer Properties und seinen Agenten Dynasty Zarooni Inc.
Irreführende Werbeanzeigen und Pressemitteilungen, Verkauf nicht existierender Quadratmeter und verschwundene Anzahlungen gehören zu den dokumentierten Vorwürfen der Käufer, erklärte Moses Oye, ein britischer Investor und Sprecher der Al-Fajer-Properties-Investorengruppe, der Anleger aus den USA, Großbritannien, Deutchland, Russland, Iran, Indien, Kanada und Pakistan angehören. „Wir fordern die Immobilienaufsichtsbehörde von Dubai (RERA) und den Hof des Herrschers von Dubai auf, ein Ermittlungsverfahren gegen den Bauträger einzuleiten, das Ebony-Ivory-Projekt zu stoppen und eine Rückzahlung unserer geleisteten Anzahlungen in Höhe von 140 Millionen US-Dollar anzuordnen“, erklärte Oye. Im vergangenen Jahr habe die Baustelle nach Aussagen von Oye praktisch keinerlei Fortschritte gemacht. Außerdem hätten die Investoren erfahren, dass der Projektträger rund 250.000 Quadratfuß mehr Fläche verkauft habe, als nach der Baugenehmigung zulässig sind – ein weiterer Hinweis auf potenziell betrügerische Vorgehensweisen. Bisher habe die RERA die Forderungen der Investoren bezüglich einer transparenten Ermittlung und der offensichtlichen Verletzungen der RERA-Bestimmungen und Strafgesetze der VAE zugunsten der Interessen von Scheich Maktoum Bin Hasher Al Maktoum und Al Fajer Properties gänzlich ignoriert, sagte Oye. „Was kann man machen, wenn die vom Herrscher von Dubai mit der Regulierung und Beaufsichtigung der Bauträgerleistung betraute unabhängige Regierungsbehörde in Wirklichkeit an einer Vertuschung beteiligt ist, mit denen die Investoren ihrer Rechte beraubt werden? Was sagt das über die Sicherheit von Immobilieninvestitionen in Dubai aus? Wo bleibt die vom Herrscher von Dubai angeordnete Transparenz und Rechenschaftspflicht? Wie der jüngsten Pressemitteilung von Al Fajer Properties zu entnehmen ist, seien angeblich 15 Prozent der Bauarbeiten abgeschlossen , während es in Wirklichkeit ein verödeter Bauplatz ohne jegliche Bauarbeiten ist“, erklärte Oye. In seiner Zusammenfassung des Falles brachte Oye ernste Bedenken über kürzliche Drohungen zum Ausdruck, die einige der Investoren in letzter Zeit erhalten hätten. Er zitierte sodann Rechtsanwalt Salim Al Shaali, den Vertreter der Kläger in einer wegen betrügerischer Darstellung gegen die Ebony-Ivory-Verkaufsstelle anhängigen Klage. In einem vor kurzem abgegebenen Interview sagte Al Shaali: „Wir haben volles Vertrauen in das Rechtssystem von Dubai. Ich persönlich garantiere allen Investoren, dass die Regierung von Dubai es nie zulassen würde, dass einige Personen ihre soziale oder amtliche Stellung für illegale Profite missbrauchen und das Ansehen der Marke Dubai als einen in jeder Beziehung sicheren Investitionsknotenpunkt der Region schädigen. Al Fajer Properties – The former CEO of Al Fajer Properties Shahram Abdulla Zadeh was jailed in 2008 – Today 2009 President of Al Fajer Maktoum Hasher bin Juma Al Maktoum – A part of the Dynasty Zarooni Scandal ? DUBAI — Amid the movers and shakers of this glittering city, Shahram Abdullah Zadeh cut a wide swathe. He cruised around town in a white Bentley and dined with royalty as his company developed one of the emirate’s premier office complexes. But last February, a phone call from Dubai’s state security effectively ended it all. Hauled in and locked up for 60 days, Mr. Zadeh says he was interrogated about his role in Dubai’s freewheeling real-estate sector and his business relationship with the brother-in-law of Dubai’s ruler, Sheikh Mohammed bin Rashid Al Maktoum. When released, Mr. Zadeh says he had been frozen out of the real-estate company he had helped start. Mr. Zadeh’s experience, compiled though court and company documents, offers a rare window into the murky business world that helped transform this city from an empty coastline into a metropolis. It also may offer a cautionary tale for investors lured to the city, which bills itself as the modern face of a new Middle East. Dubai is one of seven semi-autonomous emirates that make up the United Arab Emirates. The U.S. government and human-rights groups have long criticized the judicial system in the U.A.E for a lack of independence and oversight. In the good times, investors didn’t fret much about these shortcomings. Now, some of the same deals that helped build Dubai are coming undone — in particular, a tradition of off-the-book business partnerships between Emirati citizens and elite expatriates like Mr. Zadeh, who was born in Iran. Mr. Zadeh claims his detention came after a business dispute with his partner at Al Fajer Properties, Sheikh Hasher bin Juma’a Al Maktoum and his son, Sheikh Maktoum bin Hasher al Maktoum. Both men are members of the extended family of Dubai’s ruler, Sheikh Mohammed bin Rashid Al Maktoum. Mr. Zadeh alleges the two men took control of the firm while he was in custody, according to a lawsuit he filed with Dubai’s public prosecution office last year. Mr. Zadeh has not been charged with a crime. But for the past year, authorities have held onto his passport, making it impossible for him to travel or find work. “I used to believe in the miracle of Dubai. But now I see it all as a mirage,” said Mr. Zadeh, 37. Sheikh Hasher denies any wrongdoing. He says he was not responsible for Mr. Zadeh’s jailing and that he removed him from the company because Dubai authorities said he had offered bribes, an allegation Mr. Zadeh denies. Some of Mr. Zadeh’s claims are impossible to verify independently. His only copy of the real-estate partnership agreement is missing, and official company documents show the Sheikh Hasher as sole owner. Dubai’s security services, the public prosecutors’ office and the Dubai ruler’s court all either declined to comment or didn’t respond to repeated requests for comment. Last fall, the Emirates’ Human Rights Association, a government body, wrote to authorities asking for an explanation about why Mr. Zadeh’s passport was being held. The group did not receive any response, according to his lawyers. Mr. Zadeh grew up in Dubai, attending school with the children of some of the city’s top families. He managed his family’s hotel and retail holdings and decided to go into business himself in 2000. Real-estate development was off limits to foreigners, even longtime residents like himself. So, he turned to a common practice — a silent partnership with a U.A.E. citizen. Typically, such partnerships involve an Emirati acquiring a business license and then granting his foreign partner management control. The foreigner either pays an annual fee to the Emirati or the two share profits. The terms are set forth in a parallel set of documents, separate from those submitted to the government. Such contracts are so common that courts here have upheld them in disputes, according to commercial lawyers here. In 2004, an old friend of Mr. Zadeh’s father brokered an introduction with Sheikh Hasher. The sheikh owns Al Fajer Enterprises, a conglomerate that includes a large construction and contracting arm. In affidavits filed with Dubai’s prosecution office, Mr. Zadeh contends that he and Sheikh Hasher verbally agreed to a partnership, signing a contract on Feb. 1, 2006. The partnership, Mr. Zadeh says, established the two men as co-owners of Al Fajer Properties. The men would split profits equally and would invest equal amounts of capital. The contract named Mr. Zadeh as chief executive. Mr. Zadeh provided $335,000 in start-up capital, and he invested another approximately $30 million in the company, according to bank documents reviewed by The Wall Street Journal. Mr. Zadeh’s affidavits contend Sheikh Hasher didn’t contribute any capital. Sheikh Hasher denies the equity partnership ever existed. Business took off quickly. One of Al Fajer’s biggest projects was a planned $750-million development of five office towers, set just inland from Dubai’s man-made, palm-tree-shaped island. Mr. Zadeh bought three of the five plots for the 40-story towers with his own money, according to financial documents. With investors lined up for units, he then awarded $215 million worth of contracts to the construction arm of Sheikh Hasher’s Al Fajer Enterprises, according to company documents. But by late 2007, the contractors were behind schedule, according to company documents and former employees. Al Fajer Properties was facing fines for the delays, and buyers were starting to complain. Sheikh Hasher wanted payments to continue to his companies, but Mr. Zadeh claims he said no. The sheikh complained in a series of text messages that unless Mr. Zadeh released more cash, his contracting companies would go bankrupt. On Feb. 21, 2008, Mr. Zadeh claims, he received an unusual phone call from State Security, asking him to come in that evening for a talk. When he arrived, , he claims that police blindfolded him, put him into a sport-utility vehicle and drove him to a detention center. In the eight weeks he was jailed, Mr. Zadeh says he was never accused of a specific crime or shown an arrest warrant. Instead, he says, he was repeatedly interrogated about his personal life and Al Fajer’s operations, and gave his interrogators the combination to the company’s safe after they asked for it. “They told me that if I did not cooperate that they would ruin me,” Mr. Zadeh said. Mr. Zadeh contends the only copy of his partnership agreement with Sheikh Hasher was in the safe. Former employees of Al Fajer say the company safe was emptied while Mr. Zadeh was jailed. On March 6, Sheikh Hasher’s son, Sheikh Maktoum, was named the new chief executive of Al Fajer Properties. Sheikh Hasher hired international accountants to audit Al Fajer’s books, according to former employees. He then presented the findings to employees and select clients, accusing Mr. Zadeh of embezzling funds. Phone calls and emails sent to lawyers and accountants of Al Fajer Properties were not returned. Sheikh Hasher says Mr. Zadeh stole money from him, but did not provide evidence, or the audit, to back his claim. Mr. Zadeh denies it. Prosecutors refused to investigate the case, citing an order from Dubai’s attorney general, an official appointed by the ruler. In November, Mr. Zadeh tried one last option. He approached the ruler’s diwan, or court administration, and asked for mediation from Sheikh Mohammed himself. On Feb. 3, Al-Fajer Properties, a high-profile real estate development firm owned by the brother in law of Dubai’s ruling sheik, announced a 3.2 billion dirham ($871.2 million) restructuring of its operations. Under the leadership of its new president, Sheik Maktoum bin Hasher al-Maktoum–the eldest son of the company’s owner, and nephew of Dubai’s ruling sheik–the company explained it had liquidated its land bank and sold off its remaining inventory after a “rigorous” business review in order to strengthen its balance sheet. But sources close to Al-Fajer tell Forbes that the restructuring was actually a wholesale “rescue” from financial ruin as an independent entity, after nearly three years of alleged mismanagement under former manager Shahram Abdullah Zadeh, a flamboyant, Iranian-born businessman who was fired last year and who claims to still be owed at least $1.9 billion by Al-Fajer. Forbes has consulted documents–including bank statements, company contracts and employee interviews drafted by an auditing firm, which was called in to help conduct the business review last year–that purportedly tell the story of how Zadeh allegedly forged company contracts, kept fraudulent, unaudited accounts and moved money back and forth between Al-Fajer Properties and other companies owned by him. Sources close to Al-Fajer say the new president, Maktoum, was called in by his father to fix the so-called “financial shambles” after an employee indirectly alerted the elder sheik to the company’s financial situation by requesting cash in early 2008. Documents show a cash balance of approximately $8.2 million when Maktoum arrived, which was restored to $163.4 million to $190 million 60 days later. The sheik, say sources close to the company, did this by unwinding investments that would have saddled Al-Fajer with massive liabilities–in the “hundreds of millions” of dirhams–narrowly escaping the real estate slide that hit Dubai months later after the collapse of U.S. investment bank Lehman Brothers in September. Since then, property prices have fallen an estimated 20% to 25%. Al-Fajer’s cash balance as of February 2009 was not made available to Forbes, but sources close to the company hint that nearly all of it has been plowed back into construction projects. Zadeh flatly denies any wrongdoing and claims that the so-called “rescue” was a full-blown theft of a company he had owned and financed alone throughout the course of its existence. Moreover, he denies that the company was a financial mess and claims that his erstwhile partner, Maktoum, breached his trust to take control of a successful firm. The payment for this license, which cost $82,000, sat in a bank account from the company’s inception in 2004 and was not used as operational capital, Zadeh says. Zadeh claims that Maktoum, his father and others together “cooked the books” and took control of Al-Fajer Properties while he was detained in jail by the authorities, without being charged, between February and April 2008. After being blindfolded, tortured and interrogated for weeks about unfounded bribery allegations and his operations at Al-Fajer in detail, Zadeh says he emerged from jail only to find a letter demanding he cease all involvement with the company. Zadeh says he believes his detention was the result of a false report. Sources close to Al-Fajer say that any such claims did not come from them. The battle has already spilled into the courts, a potentially embarrassing development for a company linked to Dubai’s ruling family. After filing two unsuccessful criminal complaints against Al-Fajer last year, Zadeh said his lawyers filed a civil lawsuit against the company on Feb. 26 at the Dubai Courts, claiming he was still owed $1.9 billion. Although Al-Fajer Properties is said to have filed a criminal complaint against Zadeh in late February, alleging fraud and embezzlement of funds, the company’s lawyer would not confirm this. “I am aware of no suits against me,” Zadeh says. Zadeh does not deny moving funds between Al-Fajer and other companies he owns, but claims that he put the money into the company’s account in the first place and later took it back as his “investment.” He said that no money was missing, though he admitted there had been no auditing of the company accounts because the firm was understaffed and had big ambitions. Sources close to Al-Fajer also confirm that no money appeared to be missing; Zadeh is said to have made up the balance of withdrawn funds with later payments back into the firm. The corporate tussle casts no direct shadow on the reputation of Dubai’s ruling family, even though Al-Fajer’s operators are one degree removed from Sheik Mohammed bin Rashid al-Maktoum. But it’s another example of the dark side of Dubai, one more blow to its image as a spectacular hub for global investment. After recently being forced to borrow $10 billion from the United Arab Emirates’ central bank in Abu Dhabi to help its enterprises pay short-term debts (see “Dubai’s Jolt Back To Reality”), Dubai is bracing for more bad news as its gross domestic product growth plunges from 8% or so in 2008 to an expected 2.5% this year. 1. Under UAE Law, Article 69, the presiding Judge MUST appoint an expert/auditor to look into the historical records of the company from the first day of establishment. The expert will rely on evidence and facts only. It is a very simple task. Any party who is afraid of the truth will try to block the court from appointing an expert auditor to examine the company account. 2. In this case, where the Iranianian Plaintiff had been detained illegaly for a period of 60 days without any charges, and in violations of a series of UAE Laws his rights have been deprived by the authorities, which indicate the facilitating the take over of the company by the sheikhs raises serious questions about the involvement of the various authorities as potential partners in crime. 3. The current false claims filed by the sheikhs in police are a tactic used to mislead the public/ court and to try to pressure the judge to close the lawsuit against the sheikhs. Although sometimes these tactics work, but normally it can backfire especialy if the other party can provide evidence that it is a false case. Which will result in a criminal prosecution of the sheikhs for creating false cases. 4. In my 25 years experience of complaex financial cases where I have been appointed as an expert , I can give my personal view that if FOR ANY REASON the judge does not appoint an auditor expert with a crystal clear mandate to look into the company records and determine who has invested capital in the company and what is the contribution (IF ANY) of the sheikhs, and hence determine who is the true owner of the company. Then I can conclude that the sheikhs have used their influence to close the case. CONCLUSION: IF THE JUDGE DOES NOT APPOINT AN EXPERT AUDITOR AS PER THE LAW, THEN DUBAI JUSTICE SYSTEM IS QUESTIONED AND THE RULE OF LAW IS NOT APPLIED TO SHEIKHS. DUBAI, May 25, 2009 (AFP) – A Dubai sheikh being sued by an Iranian businessman over 1.9 billion dollars in property investments plans to file a counterclaim demanding compensation for losses, his lawyer said on Monday. Shahram Abdullah Zadeh, the former chief executive of Dubai-based developer Al-Fajer Properties, filed the initial lawsuit against the firm and Sheikh Hasher Maktoum bin Jumaa al-Maktoum, in February, claiming he was the sole investor and real owner of the company. “We have requested time to file a counterclaim to demand compensation from Shahram Zadeh,” lawyer Samir Jaafar told AFP following a fourth hearing in the case on Monday. Zadeh accused the defence of “running away from responding to the lawsuit” against Sheikh Hasher, a brother-in-law of Dubai ruler Sheikh Mohammed bin Rashid al-Maktoum. Al Fajer Properties, because being a foreigner he could not register it under his own name. He told AFP his defence had requested the appointment of an auditor to trace capital inflows into the company, and said despite claims that he was just an employee he never took a salary or had an employment contract. “He was supposed to earn a share of profits made under his management. But the company did not make any profits,” Jaafar responded. Al-Fajer Properties, which since February 2009 has been run by Sheikh Hasher’s son, Sheikh Maktoum, filed two complaints with Dubai police in February and March, accusing Zadeh of embezzling 114 million dirhams (31.06 million dollars). A representative of Zadeh’s lawyer, Salim al-Shaali, called the two claims false and said a complaint about them has been lodged with the public prosecution. 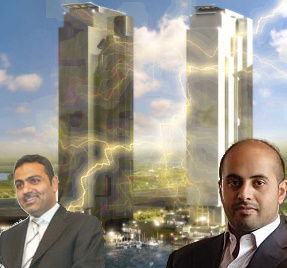 Al Fajer Properties, estimated in the lawsuit at seven billion dirhams (1.9 billion dollars). The judge adjourned Monday’s hearing to June 17. Dubai: Dubai Public Prosecution has granted bail to a senior executive of a real estate company who is being interrogated over alleged financial irregularities, Gulf News has learnt. “The Dubai Public Prosecution granted bail to Dynasty Zarooni Real Estate’s Chairman Kabir Mulchandani. yesterday, but the interrogation continues over his alleged fraud and swindling charges,” a senior public prosecutor told Gulf News on Thursday. Lawyer Eisa Bin Haider confirmed that his client was released on bail on Thursday. The Public Prosecution has been questioning Kabir Mulchandani., an Indian, and the firm’s president, an Emirati national, Hilal Al Zarooni, over alleged fraudulent charges. Salem Al Sha’ali, the legal representative of investors who were reportedly swindled, said earlier some of his clients lodged nearly 30 complaints worth millions of dirhams against the suspects. More about this case Dynasty Zarooni – Al Fajer Properties ( Jumeirah Business Centre – complaining investors) from the past. The defence lawyer( Samir Jaafar) for a Dubai Sheikh ( Hasher Maktoum bin Juma Al Matoum, brother in law of H.H. Sheikh Mohammed bin Rashid Al Maktoum) being sued by an Iranian businessman over $1.9 billion property investments on Monday rejected the lawsuit as baseless. “All his allegations and the sums that he claims to have pumped into the company are unfounded,” lawyer Samir Jaafar told news agency AFP after the third hearing in the case. Shahram Abdullah Zadeh has filed the $1.9 billion case against Sheikh Hasher Maktoum bin Jumaa Al-Maktoum and the Dubai-based real estate developer Al-Fajer Properties. Zadeh insists he was the real owner and sole investor in Al-Fajer, which is registered under the name of Sheikh Hasher, a brother-in-law of Dubai’s ruler, Sheikh Mohammad bin Rashid al-Maktoum. “There are surprises in the documents that we have presented to the court which will turn the case upside down,” Sheikh Hasher’s lawyer Samir Jaafar said, declining to elaborate. “We believe that the lawsuit will be rejected after the court goes through the documents that we have presented,” Jaafar added. Legal sources close to the case, asking not to be named, said the defence has charged that the sums which Zadeh says he invested in the company were in fact the “company’s money that he misused to appear as if it was his own”. Zadeh, for his part, demands the “recovery of all material assets of Al-Fajer Properties“, according to legal documents obtained by AFP. These include liquid assets and property, which are estimated at 7 billion dirhams ($1.9 billion), and 9 percent interest since the suit was filed. His lawyer Salim al-Shaali, who asked the judge for time to study the defence document, said that at the next hearing on May 25 he will ask for an auditor to be appointed to look into the company’s accounts. “The expert would decide who pumped capital into the company and … whether the defendants paid any money,” he told AFP. Zadeh charges Sheikh Hasher made no investment in Al-Fajer and that he acquired the licence under the sheikh’s name only because Emirati law does not allow non-Gulf citizens to register real estate firms under their own names. Shahram Zadeh said he started up the company from scratch, pumping in cash “as and when the company needed”, and that he only withdrew part of his initial investments after the company expanded from property sales. “The Sheikhs claim I was an employee,” said Zadeh. In addition to Sheikh Hasher, Zadeh is suing his daughter, Sheikha Maryam, a partner in the company, and son Sheikh Maktoum bin Hasher Juma Al Maktoum, who was made president of Al-Fajer after Zadeh was sacked in February. Zadeh said he was detained by Dubai police after he was sacked and then held without charge for 60 days, and that his passport was confiscated and is still being held. “I still don’t know why I was arrested,” he said. The case comes as several executives from high-profile Dubai firms are being held on suspicion of embezzlement and as the once-booming regional business and tourism hub struggles to stave off the impact of the global economic crisis. I am a lawyer & familiar with such disputes known as financial cases. Its actually very simple, the judge has to appoint an Accounts Expert (Court Appointed Auditor), to examine the accounts of Al Fajer Properties, and it will be very clear if Sheikh Hasher Maktoum has invested anything. I believe the lawyer of Sheikh Hasher Maktoum, Sheikh maktoum Hasher & Al fajer will do their best to close the case before the court appoints an Expert to avoid the embaressement. If Sheikh Maktoum Hasher Al Maktoum succeeds in closing the case without the court Auditor examining Al fajer accounts, then it will be a big loss to dubai justice system because it shows they are afraid the truth will come out!!! Sheikh Hasher Maktoum should be smart and try to settle the case with Dr.Zadeh Shahram before it becomes a nationalembaressement for Dubai ruling family. If the sheikhs win this case, it will be the end of foreign investor’s trust in dubai. This will be a test for dubai, is it really a safe & secure investment hub as they portray it???? Or the laws are not applicable to the ruling family? This is going to be a test case for dubai. This will reveal the depth of the corruption & behind the scenes torture, illegal arrest, fabrication of cases, all to protect the few sheikhs like sheikh hasher maktoum & his well known crook son who just thursday threatened me in front of my wife that if I complain about al fajer “it will have very bad consequences, I don’t want you to disapear” Shame on you sheikh maktoum hasher, you are nothing but a thief with everyone. A Dubai court postponed on Wednesday a 1.9 billion dollar lawsuit by Shahram Abdulla Zadeh ( Iranian) gainst members of the ruling family over an allegedly lost property investment to give the defence time to prepare. Lawyer Hussein al-Jaziri asked for a “long period of time to respond to the case,” but the judge set May 4 as the date for the next hearing. No one represented the defence during the first hearing, on March 11. Under United Arab Emirates law, only UAE and Gulf citizens may register property firms, and ruling family member Sheikh Hasher Maktoum bin Jumaa al-Maktoum is listed as the owner. “I was the sole investor. Al-Fajer Propertiesis my company. Sheikh Hasher’s only contribution has been the real estate licence as a sponsor,” he said in March. Zadeh, who was sacked as company president last year, is demanding the “recovery of all material assets of Al-Fajer Properties,” according to legal documents obtained by AFP. These include liquid assets and property, which are estimated at seven billion dirhams (1.9 billion dollars), and nine percent interest since the suit was filed. “We have enough documents to prove he was the sole investor,” Zadeh’s lawyer Salem al-Shaali told AFP after the first hearing. Sheikh Hasher is a brother-in-law of Dubai ruler Sheikh Mohammed bin Rashid al-Maktoum. Also named in the suit are his daughter, Sheikha Maryam, a partner in the company, and son Sheikh Maktoum, who was made president of Al-Fajer after Zadeh was sacked. Their names were only made public on Wednesday. Zadeh said he was detained by Dubai police at the time he was dismissed last year and held without charge for 60 days, and that his passport was confiscated and is still being held without explanation. The case comes as several executives from high-profile Dubai firms are held on suspicion of embezzlement and as the once-booming regional business and tourism hub struggles to stave off the impact of the global economic slowdown. Dubai prosecutors Sunday rejected a bail application from Dynasty Zarooni’s Chairman Kabir Mulchandani who is being held by police on 450 million U.A.E. dirhams ($123 million) fraud allegations, according to documents seen by Zawya Dow Jones. Mulchandani, who couldn’t be contacted by Zawya Dow Jones, has previously denied any wrongdoing. Ayman Merdas, a lawyer for Global Advocates & Legal Consultants representing Mulchandani declined to comment when called by Zawya Dow Jones Monday. Mulchandani applied for bail on March 11 but was refused March 22, according to the Public Prosecution document seen by Zawya Dow Jones. The Dubai public prosecutor handling the Dynasty Zarooni case couldn’t be reached Tuesday. Chinese Geely need money to buy Saab. Al Fajer Properties Dubai Court Case : Anyone can sue anyone, whether they are from the ruling family or not,’ Tamimi said. Dubai court began a hearing against three members of the emirate’s ruling family after businessman sought $1.9 billion in compensation for the alleged seizure of his firm. The claimant, Shahram Abdullah Zadeh, a Dubai-based Iranian businessman and property owner, filed the civil suit, alleging that his business had been taken over by Sheikh Hasher Maktoum Al Maktoum, according to case documents obtained by Reuters. The court handling the case against Al Fajer Real Estate and members of the Dubai ruling family began the trial but adjourned to April 8 after defendants did not attend. ‘We attended the session but the defendant did not attend and the session was adjourned to April 8,’ Salem Al Shaali, Zadeh’s lawyer from Al Shaali & Co, told Reuters by telephone. Sheikh Hasher had sponsored Zadeh in line with the United Arab Emirates law which requires foreigners to have a UAE national as a partner or sponsor to carry out business activities, the documents showed. Sheikh Hasher declined to comment by telephone or respond through email. His son and daughter could not be reached by telephone. The suit is likely to draw wide attention as a test case for Dubai, home to many Western banks and a regional business hub. Dubai has fashioned itself as a tourist destination and business-friendly centre for many international firms, and captured global attention by building palm-shaped islands in the sea and the world’s tallest building. Last year, as Dubai’s booming real estate market reached dizzying heights, the emirate launched a high-profile anti-corruption campaign that saw the arrest of several well-known business figures. But the prolonged detention of several Dubai property executives as part of the probe has been criticised by groups such as Amnesty International. Zadeh accuses Al Fajer company, Sheikh Hasher, his son and his daughter, of involvement in the case, according to case documents. The case names the daughter, Sheikha Meryam, as a partner of the firm, and the son, Sheikh Maktoum, as a manager. Zadeh alleged that Sheikh Hasher and Sheikha Meryam have ’seized all the company has from cash monies, movables, properties, and others’ in March last year, according to case documentation. The seizure of the company occurred while Zadeh was held in custody of Dubai police, according to Zadeh. ‘I was arrested for 60 days on February 21, 2008 and until this day I don’t know what law I have broken, and I have not been charged with anything. I still don’t know why they have kept my passport for over one year,’ Zadeh told Reuters. The chief of Dubai police, major general Dahi Khalfan Tamim, confirmed the arrest to Reuters by telephone and said that Zadeh was held on charges of bribery on order of the public prosecutor, charges that Zadeh denies. The public prosecutor could not be reached for comment. Abdullah Zadeh’s lawyer, Salem Al Shaali, said he expected the case to be decided on its merits. ‘We haven’t yet seen anyone, whether from the ruling family or other, escaping the rule of law,’ he told Reuters. Essam Al Tamimi, lawyer at Al Tamimi & Co. told Reuters by telephone that the judicial system in the UAE ‘is very independent from the government and the ruling family’. ‘Anyone can sue anyone, whether they are from the ruling family or not,’ Tamimi said. An arrest warrant has been issued against the senior executive of a well known real estate company, a senior public prosecutor told Gulf News on Monday. Hilal Al Zarooni of Dynasty Zarooni Real Estate is “wanted and it’s a matter of time before the law enforcement officers bring him in for questioning,” the public prosecution official said. He didn’t say when exactly the warrant was processed. Ayman Merdas, of Al Sharif Advocates and Legal Consultants, the law firm representing Hilal Al Zarooni and the company’s chairman, Kabir Mulchandani, said the investigation is ongoing but declined to comment whether Hilal Al Zarooni has been detained upon the arrest warrant or not. An Iranian businessman ( Shahram Abdulla Zadeh ) is suing members of Dubai’s ruling family for close to two billion dollars over real estate investments, in a case which opened on Wednesday. who was fired in 2008, has filed the lawsuit against the firm and its owner Sheikh Hasher Maktoum bin Jumaa al-Maktoum, a brother-in-law of the emirate’s ruler, Sheikh Mohammed bin Rashid al-Maktoum. The lawsuit also targets Sheikh Hasher’s daughter as a partner of the firm and a son, Sheikh Maktoum, who has since been appointed president of Al-Fajer, according to legal documents obtained by AFP. which gave no immediate reaction to the opening of the case. Zadeh insists he was the real owner of the company and the only investor. He had used Sheikh Hasher’s name to obtain the firm’s licence, as foreigners are not allowed to register real estate companies under their own name in the United Arab Emirates. is my company. Sheikh Hasher’s only contribution has been the real estate licence as a sponsor,” he told AFP. Zadeh is demanding seven billion dirhams (1.9 billion dollars), which “includes the plaintiff’s investments and the return on them,” his lawyer Salem al-Shaali said. “We have enough documents to prove he was the sole investor,” he added. Only a representative of the plaintiff’s lawyer was in the Dubai court of first instance for the hearing, which lasted a few minutes. The court’s list named Al-Fajer as the defendant, with no mention of the Maktoums. The judge referred to them by numbers before the hearing was adjourned to April 8. Zadeh has said he was detained by Dubai police without charge for 60 days last year, at the same time as he was dismissed, and that his passport was confiscated for a year, without an explanation. The civil case comes as several executives from high-profile Dubai firms are held on suspicion of embezzlement and as the once booming regional business and tourism hub struggles to stave off the impact of the global economic slowdown. I am not a lawyer, but as a real estate investor I am familiar with the real estate license being registered in the name of a local because the laws do not permit a non UAE national to be the owner of a real estate company. Every single real estate company I know has done the same thing. IF ZADEH IS SAYING IT SO OPENLY IN THE PUBLIC MEDIA THAT SHEIKH HASHER MAKTOUM HAS NOT INVESTED A SINGLE DIRHAM INTO AL FAJER PROPERTIES, WHY IS SHEIKH HASHER MAKTOUM NOT REPLYING? IF ZADEH IS NOT TELLING THE TRUTH SURELY THE SHEIKH SHOULD BE COMING FORWARD WITH A STRONG STATEMENT AND PROOF OF FUNDS HE HAS PAID INTO AL FAJER PROPERTIES!!! BY KEEPING QUIET SHEIKH HASHER MAKTOUM AND AL FAJER PROPERTIES ARE CONFIRMING WHAT ZADEH IS SAYING THAT THE COMPANY BELONGS TO HIM AND SHEIKH HASHER MAKTOUM HAS NOT INVESTED A SINGLE DIRHAM INTO THE COMPANY!!!!!!!!!!! I don’t know any of the parties involved. I fail to understand why they have taken over Al fajer Properties when zadeh was detained without any charges for 2 months???? wHY THE AUTHORITIES ARE NOT REPLYING ABOUT THE 2 MONTHS JAIL WITHOUT CHARGES? ?This is going to damage dubai’s reputation and will hurt the rest of the real estate market because at the end, dubai will be regarded as a city that investors do not have the basic security. So what is the difference between Dubai and Zimbabwe? Mugabe did the same to my parents’ farms. Very sad, because it affects all our businesses. I started with Al Fajer Properties from day 1 under Dr. Shahram and saw how he invested his money, dedicated his time 24/7 and created a brand out of Al Fajer. Sheikh Hasher Maktoum is an old fashioned 65 year old who loves gossip and whispers. All the Al Fajer staff witnessed how Dr. Shahram fought with Al Ahmadiah (sheikh hasher’s contracting company that was building the towers for al fajer), because Al Ahmadiah was not doing anything on site. That was damaging Al fajer Properties name and Dr. Shahram felt responsible towards the investors and thats what triggered sheikh hasher maktoum’s aggressive behaviour towards Dr shahram. The son, Sheikh Maktoum Hasher Al maktoum, was a nobody. Even Sheikh Hasher always told us not to let him in the office! I remember sheikh maktoum hasher used to call Dr. Shahram’s secretary or the receptionist and request to book the meeting room to bring his friends and show off!!! Everyone in Al Fajer knows that Dr. Shahram was & is the owner of Al Fajer Properties. Sheikh maktoum hasher always uses his “uncles” name Sheikh Mohammed Bin rashid, the dubai ruler to threaten people. The rest of the world is not stupid, somebody is locked up for 60 days, tortured, passport confiscated for a year, no charges against him, his business has been stolen by the brother in law of dubai ruler, the case he filed at the public prosecution is closed without an explanation. Is this the fair, just society that sheikh mohammed bin rashid has envisioned in his Dubai Strategy? So the government is actively helping criminals? Why nobody dares to talk? May be Altik you have been coming here for 30 years and have seen the locals stealing from the foreigners. But that is wrong to say all locals are the same. The big fuss is that its the first time a sheikh from the al maktoum family stealing a company from its true owner, threatening the staff and then going ahead to partner with a crook like kabir mulchandani in a mass misrepresentation campaign showing construction photos that don’t exist and cheating investors thanks to the arrogant support of sheikh maktoum hasher al maktoum the nephew of the dubai ruler. Dubai is not a bad place and has wonderful people, its just that the law is not enforced equally and that has been more evident recently. Dubai can not afford to continue to allow such injustice towards investors while a junior member of the royal family is pocketing the money. Sheikh mohammed himself is a man of law and order, its the clan around him who are corrupted and take advantage of the situation. That happens in many countries by the way, but normally the courts are supposed to be independent, in here unfortunately, dubai police, public prosecution, courts are all biased towards prominent locals who get away from such criminal acts as al fajer properties and dynasty zarooni. An almost year-long investigation into alleged criminal activity by the former chief executive of the developer Deyaar, Zack Shahin, and three co-accused is nearing its end, the Dubai Attorney General said yesterday. In a statement released by the state news agency WAM, Issam al Humaidan said the charges against Mr Shahin and his co-accused include forgery, embezzlement and fraud. Authorities said they had also uncovered evidence supporting an additional charge of money laundering. The announcement provided the most detailed look yet into the case that first came to light 10 months ago. Prosecutors allege the co-accused transferred millions of dirhams in misappropriated funds between banks in Lebanon, Switzerland and the US. Mr Shahin’s lawyer in Dubai, Ali al Shamsi, declined to comment on what he called “a very sensitive case”. “We are in touch with prosecutors, but it looks like investigations will take a long time before they conclude,” he said. Mr Humaidan said a report by the Dubai Financial Control Department at the Rulers Court received in November uncovered cash transfers between banks in several countries. He said the prosecution was in touch with these banks to obtain the information necessary to transfer the investigation to court. According to the statement by the Attorney General, the Dubai Financial Control Department report revealed Dh31.5 million (US$8.6m) was alleged to have been embezzled by Mr Shahin alone. He and his co-accused are suspected of embezzling a total of Dh98m. Mr al Humaidan said Mr Shahin’s lawyer had been kept informed of developments in the case and visited his client regularly. Representatives from the US Consulate have also visited Mr Shahin, who is under precautionary detention. He noted the prosecution had the right to detain a suspect for 21 days before they must appear in court. The judge may extend the suspect’s detention for a maximum of 30 days based on the prosecution’s request before the detention order has to be renewed. The statement from the Attorney General only names Mr Shahin, who has spent almost a year in custody. James Jatras, a lawyer in the US who has been hired by Mr Shahin’s family, has placed an advertisement about the case in American newspapers. He is due to give a press conference in Washington tomorrow. “We would be very pleased to see what evidence they are talking about,” he said last night. Mr Shahin’s arrest was first reported in April, when police said he was being held on suspicion of embezzlement and betrayal of trust. Soon after it was announced that Ganesan Krishna Kumar, who runs a Dubai-based advertising agency, had been detained in connection with allegations of embezzlement at Deyaar. As the investigation widened towards the end of the month, it came to light a Lebanese sales executive at Deyaar, Charbel Boutros, had been arrested, followed by the confirmed detention of a fourth man in the Deyaar investigation, Jose Mebar. Deyaar, a Dubai development company, has rebranded itself since the arrests with a new logo and advertising campaign, and appointed a new chief executive. Dubai’s royal family, mired in controversy and scandal, has reportedly swindled a prominent Iranian investor out of millions of dollars. Exposing the seamy underbelly of Dubai’s real-estate sector, The Wall Street Journal recently revealed how an elite Iranian expatriate, Shahram Abdullah-Zadeh, was kicked out of a USD 750-million real-estate company he had helped establish. Kabir Mulchandani, who was arrested in Dubai in connection with an alleged realty scam, is also alleged to have floated another scheme of three 40-floor buildings( Jumeirah Business Centre 7, 8,9 ) in Jumeirah opposite the Dubai Marina — the most posh locality of the Emirates. Full page advertisements were run in papers, making him the largest advertiser of the Emirates during the period, said Mohammed Marzooq from Kerala. “He showed us the picture of a building with a podium, three-storeyed car parking and a complete floor for a departmental store. It was half complete and the rest of the 35 floors were to be built in the next one year”, Marzooq said. “I paid the entire amount because I was dealing with the company for some other work. During a vacation in Europe recently, I happened to meet someone who was unhappy with the project. On my return, I went to the site and found that I too had been duped royally,” Atul said. When cornered by 12 investors, Marzooq said Mulchandani flew them to Nice (in France) in his jet and treated them to a cruise vacation. He showed them properties in Nice. Claiming them to be his own, he asked them to invest there for speedy returns. “He convinced all of us to sign a cheque, promising that it wouldn’t be encashed till their return to Dubai. Upon arriving at Dubai we found that the cheque had already been encashed,” Marzooq said. A complainant told DNA that Mulchandani threatened him with deportation due to his clout in the UAE. The executive at the centre of $100m fraud allegations rocking Dubai’s property sector has hit back with a counterclaim that his accusers have defaulted on more than $18m of debts owed to his company. Kabir Mulchandani, chairman of Dynasty Zarooni, claimed that a series of cheques written by investors had bounced as the real estate industry’s fortunes plunged late last year. The case – involving one of Dubai’s largest private real estate companies – highlights concerns that the emirate’s legal system is poorly equipped to cope with the slew of disputes arising as the sector turns sour. Dynasty and Mr Mulchandani deny investor allegations of fraud and misrepresentation of the group’s property portfolio. In an interview at Dubai’s Port Rashid police station, where he has been held since last month, Mr Mulchandani told the Financial Times he was pursuing cheques totalling Dh68m ($18.5m, €14.5m, £13m) that were written by Dynasty investors to pay for property. He claimed they bounced in late December as the international financial crisis hit the emirate’s business community. Mr Mulchandani said he suspected the investors whose cheques he alleges bounced – a criminal offence in Dubai – had made the accusations of fraud against him because they saw it as a way to recover money after the market fell. Salem Al Shaali, who is representing investors claiming up to Dh280m from Dynasty, admitted some of their cheques had not cleared. But he said this was because his clients had decided not to honour the cheques because of their suspicions about Mr Mulchandani. His clients had deposited cheques covering the money they owed, he added, showing that they had the ability to pay if their allegations against the company were satisfactorily addressed. Hundreds of complaints have been made against Mr Mulchandani, but the initial claims at the heart of the case came from 10 individuals known as Dynasty’s “investment club”. Mr Shaali said: “Mr Mulchandani broke Dubai’s real estate laws by selling properties without a proper licence and misrepresenting construction progress at the buildings”. Mr Mulchandani, an Indian national, said he was being well treated in custody but expressed frustration at the time taken to investigate a case in which he said he had “nothing to hide”. He is expecting a hearing this week over whether he can receive bail. The Dynasty imbroglio is a further blow to confidence in Dubai as it scrambles to cope with the sudden end of a six-year property boom on which a good part of its modern-day wealth is founded. More than 25 executives have been detained over the past year in anti-corruption investigations at state-linked property companies, while lawyers say more claims against private sector property developers are likely to emerge this year as prices collapse and funding dries up. Kabir Mulchandani, an Indian property tycoon detained by police in Dubai, says people who are accusing him of fraud are trying to get out of investments that turned sour because of the property downturn. The chairman of Dynasty Zarooni is being held because more than 25 investors, with claims worth Dh280 million (US$76.2m), have accused him of fraudulently selling them property and running an illegal investment scheme, a lawyer for the investors said. Mr Mulchandani, 36, denies the accusations and says he is being targeted by a group of investors who are unable to meet their obligations as the property market deteriorates. Mr Mulchandani said his case was likely to be a predecessor to a rash of similar cases caused by the decline in the property market. Dubai property prices have fallen by about 25 per cent since hitting a peak last year. Dynasty Zarooni, a joint venture between Mr Mulchandani and Hilal al Zarooni, an Emirati businessman, is one of the highest profile property companies to come under scrutiny by the authorities since the property market began to fall late last year. The company was the top newspaper advertising buyer in the Emirates last year, spending $14.6m and topping the likes of Nakheel and Emaar Properties, according to figures from the Pan Arab Research Centre. Its advertising spending ranked 10th across the Middle East. The company, founded in 2005, is a property resale and marketing operation. It has bought entire buildings off-plan from developers with a bulk discount and re-sold floors and units to investors at a premium. Then, as a service to these core investors, it would market the buildings prominently around the country to facilitate their resale to retail buyers. Usually, Dynasty Zarooni would play a middleman role for the first payments and then contracts would be issued between the buyer and the developer, cutting the company out of the deal. It sold 29 buildings in this way last year, according to executives. The business was profitable, with Mr Mulchandani planning a foray into New York City property before his arrest. He lives in the Emirates Hills development in Dubai. A group of investors, however, allege Mr Mulchandani built his company by misleading investors, according to Salem al Shaali, a lawyer representing several investors. One of the allegations is that Dynasty Zarooni displayed one building and sold another.Investors said they were shown buildings that were several storeys high, and told that they were the Ebony and Ivory towers. They bought dozens of units, and in some cases several floors, of the buildings. The buildings were also misrepresented in advertising, the investors say. In fact, the images showed other buildings in the Jumeirah Business Centre complex that were further advanced in construction. Work on the Ebony and Ivory towers plots still has advanced only to shoring and piling. A contractor has yet to be chosen for the Dh2 billion project. Al Fajer Properties, the developer of Ebony and Ivory towers, said a construction contract would soon be signed for the towers, which it said were to be finished between next year and 2012. An Al Fajer spokesman declined to comment on the issue. Mr Mulchandani said the advertisements were meant to show the larger Jumeirah Business Centre complex and depict Al Fajer as a hard-working developer. “I don’t believe it is misrepresentative in any way,” he said. He said the company had sold the entire building in April and that the investors involved in claims against him had signed contracts that detailed which plot of land the buildings were to be built on. Claims have emerged involving other projects that were bought and resold by Dynasty Zarooni, including the Sheffield Classique and Al Qoraishi Tower, according to Mr al Shaali. Imran Karim, the son of an investor taking action against Mr Mulchandani, said his father, Abid Karim, was sold units in the Classique and Al Qoraishi Tower under the impression that Dynasty Zarooni was the developer. Mr Mulchandani said he never represented himself as a developer. Officials from Sheffield Real Estate and Baiti Properties Development, the developer behind the Al Qoraishi Tower, declined to comment. Another allegation against Mr Mulchandani is that he created an illegal “investment club” where 12 investors were invited to pay Dh300,000 a month for 12 months for a guaranteed return of up to Dh1m a month. After six months, they expected to redeem their investments, but Mr Mulchandani did not pay, investors said. One such investor, Mohammed Arif, who also invested with Dynasty Zarooni in several properties, said he had Dh25m with Mr Mulchandani and projects sold by Mr Mulchandani. Mr Mulchandani said the Dh300,000 was actually a membership fee for 12 investors who bought from him in bulk. The fee would give the members the first right of refusal to buy up to 5 per cent of buildings that Dynasty Zarooni acquired, as well as use of the Dynasty Zarooni offices for resales. The fee also contributed to advertising, he added. Marwan bin Ghalita, the chief executive of the Real Estate Regulatory Authority (RERA), declined to comment on the accusations against Dynasty Zarooni. In November, RERA stated that there were no complaints against Dynasty Zarooni, after allegations in two Indian publications that the company had sold projects while representing to investors that they were buying another project. Officials from the Dubai Public Prosecution declined to give details on the cases, but confirmed staff members were investigating the claims. An Example of : The differenence between PR and Reality – 5 Towers Jumeirah Business Centres will be delivered in September 2009 ????? Jumeirah Business Centre 1 , Developer Al Fajer Properties was launched Dezember 2005. Sold within a few weeks after the launch, said by the company. The completion of this Office Tower was announced first for end 2007 , after this end 2008 and now end….. of year ……… ??? Panorama of February 2009 shows that the Towers around Jumeirah Business Centre 1( those Towers around also launched in 2005) are still ready. The completion of the Jumeirah Business Centre 1, the first ever launched Tower of Al Fajer Properties is…………. ?????????? 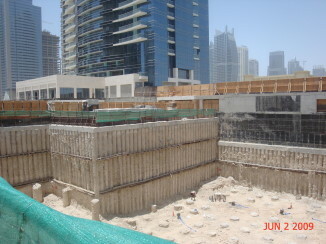 ………“[The atmosphere in construction] is a bit depressed, but I think Dubai and the UAE in general is much better off in general than the rest of the world,” said Andre van Schalkwyk of Al Ahmadiah Contracting and Trading (AAC), who is site manager of Al Fajer Properties’ Jumeirah Business Centre. He added however, that his workers are more confident of their position, as he believes AAC will outlive the downturn. “The workers are not anxious, AAC has a very stable working environment and we tend not to over extend ourselves, which makes it much easier to get through downturns, particularly of this magnitude. I think we’re a lot better off than a lot of other companies,” he said. Van Schalkwyk has been working in construction in Dubai for six years and has always found it challenging. “It’s the changing environment that is your biggest challenge in the whole construction industry,” he said. His current development with Al Fajer Properties is the largest he has been involved with since coming to Dubai, although he has been part of big projects such as Ibn Battuta Mall. Jumeirah Business Centre is a group of five high-rise office buildings in the Jumeirah Lakes Towers development, which are scheduled to be delivered this September. “The biggest challenge [with this project] is having to do five towers running exactly on the same timeframe, while not being located on the same plot. They’re in the same area but not on the same plot, that is a serious challenge, because projects are usually phased,” van Schalkwyk said. Back when the centre got started, he also had to deal with the cement shortage, which he said affected them “quite seriously”.However, he is “fairly confident” of reaching the September deadline for the new development. “After His Highness Sheikh Maktoum bin Hasher Al Maktoum came on board, it changed the whole management structure of the Al Fajer Group and we’re now managing to accelerate the project quite dramatically. We’re actually doing very well – we’re running slabs at around six, sometimes five, working days cycles,” he said. When Sheikh Maktoum became president of Al Fajer Properties (AFP) in March last year, workers were working days and knocking off at night, but now construction takes place round the clock with the workers doing shiftwork in order to meet the delivery date. In fact, a lot of changes have taken place at AFP so that it can streamline its business and meet its obligations. Joseph Paul, finance manager at AFP, told 7DAYS that a “planning and financial restructuring” had taken place last March, which resulted in the entire land bank of the company being disposed of by the middle of last year. “[This] has turned out to be an excellent decision, keeping in view the current drastic devaluation of land,” he said. Van Schalkwyk also sees the upside of downturn, particularly for real estate and construction. “I think there will be a lot more stability and sense in the market. My personal belief is that the downturn at the moment is a bit of a blessing in disguise – it will stabilise the market and I believe we will get a much more healthy growth afterwards,” he said. And despite the myriad announcements of job cuts in the sector, he feels construction won’t stay down for long. “I think in the next two to three years, the workforce will shrink overall – but then it will grow again,” he said. Dubai Police are investigating fraud allegations against the chairman of one of Dubai’s largest private real estate companies as dozens of aggrieved investors claim he defrauded them of more than $100m. Kabir Mulchandani, the chairman of Dynasty Zarooni, was arrested last week on allegations of fraud and is helping with inquiries, police officers told the Financial Times. At least 10 members of Dynasty Zarooni’s ”investment club”, which last year promised vast profits from the company’s preferential access to real estate deals, have lodged complaints against Mr Mulchandani, an Indian national, his Emirati business partner, Hilal Al Zarooni, their joint venture Dynasty Zarooni, and two other employees. Investors say that Mr Mulchandani in March received subscription fees of Dh300,000 a month from 12 members. He promised them returns of Dh1m a month after six months, or Dh6m, in September, they say. One British loser says he was encouraged by initial profits made by another club member, who had reinvested the proceeds into the scheme rather than taking the cash. The fraud allegations weigh further on Dubai’s financial hangover as its six-year property boom fizzles out, with investor confidence hitting rock bottom as people are marooned in an illiquid, declining market while developers are hamstrung by financing difficulties. More than 25 executives have been detained in an anti-corruption investigation at state-linked property companies. None have gone to trial yet, but the arrests have had an impact on investor confidence in Dubai. News of the complaints against the chairman could raise concerns among other investors in Dynasty Zarooni’s claimed Dh21bn real estate portfolio. Mr Zarooni denied any participation in, or knowledge of, a fraudulent scheme. ”One hundred per cent I deny this, there is nothing illegal whatsoever,” he said. Mr Mulchandani, who has been detained but is seeking bail, could not be reached for comment. He denied any wrongdoing in a local press interview last week. Lawyers say more than 100 other investors are preparing cases against Dynasty Zarooni over misrepresentation during the sale of its real estate projects. One aggrieved investor, who in May placed a 20 per cent deposit on an apartment in Ebony Tower 1, opposite the Dubai Marina, for Dh650,000, yesterday lodged a complaint with the police against Dynasty Zarooni and their development partners, Al Fajer Properties, for allegedly misleading him about the progress made on the building’s construction, thereby raising the supposed value of the property. ”I have been cheated and am very distressed,” he said. The cases, if they go to trial, could seek the recovery of hundreds of millions of UAE dirhams, said Salem Shaali, managing partner at Al Shaali & Co, which is representing the victims of the alleged fraud. This could develop into one of the UAE’s largest fraud cases if other individual investors in Dynasty Zarooni come forward, he said. Ebony 1 Tower is a project by Al Fajer Properties within the Master Development Jumeirah Lake Towers. Ebony 1 Tower is also known under the name Jumeirah Business Centre 8 or Jumeirah Business Centre 9 ( Ivory Tower ), Developer Al Fajer Properties Jumeirah Lake Towers. All in the Master Development Jumeirah Lake Towers named Towers , Jumeirah Business Centre, total 9 Towers, are projects by Al Fajer Properties. The Project has been launched and sold since December 2005 by Al Fajer Properties. Today 2009, no Tower of total 9 Towers is completed,only a part of them under construction, the completion of this towers ( Phase 1 = 5 Towers) was promoted by Al Fajer Properties for December 2008. 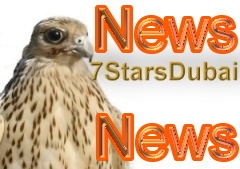 DUBAI (Zawya Dow Jones)–Dubai’s public prosecution has raised the bail to 400 million U.A.E. dirhams ($108 million) for Dynasty Zarooni’s Chairman Kabir Mulchandani, who is being held by police on fraud allegations, as more aggrieved investors lodge complaints, officials said. Mulchandani, whose mobile phone was turned off when called by Zawya Dow Jones Thursday, has previously denied any wrongdoing. An official at the public prosecution told Zawya Dow Jones that Mulchandani is being held on allegations of “fraud and embezzlement” and that he would have to pay the full bail amount in order to be released. According to lawyers at Al Shaali & Co., one of a number of Dubai-based law firms acting on behalf of the investors pursuing Mulchandani, the cases against the Indian businessman and Dynasty Zarooni involves projects in Dubai and Abu Dhabi worth more than AED5 billion. “We’re currently handling about AED500 million worth of cases,” Said Al Akkad from Al Shaali & Co. said Thursday. The law firm says the final value of cases against Dynasty Zarooni could rise much higher as other investors involved in Dynasty Zarooni’s apparent AED21 billion real estate portfolio come forward. “There are a lot more investors out there who want to file complaints against Dynasty Zarooni. The whole process takes a long time,” said Al Akkad. Mulchandani was arrested by police in early January and has since been referred to the public prosecution. Mulchandani’s bail was set at AED76 million when he was first arrested. Hilal Al Zarooni, Mulchandani’s local partner in Dubai, referred Zawya Dow Jones to his lawyers Global Advocates & Legal Consultants when called. Global, who are also representing Mulchandani and the company Dynasty Zarooni, declined to comment on the case. Investors at six of Dynasty Zarooni’s developments worth approximately AED6.35 billion have so far lodged complaints with the police, according to Al Shaali & Co. The complaints so far refer to property at the company’s Ebony & Ivory, Berlin Tower, K Hotel, Panoramic Heights, Sheffield Classique and Al Quorashi Tower developments. The cases include the taking of deposits and installment payments without depositing the money into an escrow account, the issuing of contracts worth just AED1 after the full value of the property has been paid and the misrepresentation of property during the sale. Some investors at the Ebony and Ivory project in Dubai’s Jumeirah Lake Towers district have also lodged a complaint with the police against Dynasty Zarooni for allegedly misleading them about the progress made on the building’s construction. Prominent advertising campaigns in Dubai showed pictures of the Ebony and Ivory real estate project under construction 24 hours a day, but a visit to the site by Zawya Dow Jones revealed that no work was underway. In an advertising campaign published in local media last year the company said that as a company it had earned AED20 billion in revenue, as well as AED6 billion for its investors. Lawyers say Mulchandani is also being investigated for allegations that he conned a small group of wealthy investors into pledging large sums of money with the promise of a hefty monthly return. Investors interviewed by Zawya Dow Jones say Mulchandani received subscription fees of AED300,000 a month from 12 members of the so-called “investment club”. Mulchandani promised a return of a million dirhams a month after six months after investing their money in Dubai real estate projects. The investors say Mulchandani has so far failed to deliver any returns, or their initial capital. The alleged fraud case against the chairman of Dynasty Zarooni, is now under investigation by Dubai Public Prosecution, a spokesperson at the office confirmed. A lawyer for the comp-lainants told 7DAYS that the investigation had begun with questions for the investors, who claim that the chairman, Kabir Mulchandani, defrauded them of up to dhs450 million ($123 million). Salem Al Shaali added that he could not tell the number of investors in the case as there are “new complaints every day”. Al Shaali also said there was a second suspect in the case, and that some investors had informed him that this suspect had already fled the country. The law firm, Al Shaali and Company, also told newswire Zawya Dow Jones that Mulchandani is being questioned on two counts, both subject to the Federal Penal Code and Dubai’s property laws. The first case relates to the allegations that the membership club Mulchandani has admitted to running was sold to a small group of wealthy investors under false pretences, and that they were promised large returns. The second case involves the selling of property at the dhs2 billion Ebony and Ivory development in Dubai’s Jumeirah Lake Towers district. According to Zawya Dow Jones, Al Shaali said that Mulchandani took deposits for 20 per cent of the property but failed to deliver the project. Dubai Public Prosecution confirmed they had started the investigation. Dynasty Zarooni said it preferred not to comment until charges had been brought. The nature of the blog comments which you have posted regarding our company have been brought to my attention and I would like to very clearly, formally respond and clarify for the record each of your points to this audience. The points you have made with reference to the Dynasty Zarooni Inc “Ebony & Ivory” development project located in Jumeriah Lake Towers, Dubai;UAE are incorrectly stated and for that matter I would like to clarify the actual facts pertaining to this project. 2. A 20% payment has been made to Al Fajer Properties LLC. 4. This project has been sold onto Dynasty Zarooni Inc purchasers, who in turn, were assisted by Dynasty Zarooni Inc in the capacity of providing them with a 6 months time period to pay this 20% payment, without charge of any interest. Dynasty Zarooni Inc has already signed unit SPA’s (Sale & Purchase Agreement) with Al Fajer Properties LLC for every unit in the above aforementioned Towers. On receipt of this 20% payment, Dynasty Zarooni shall assign the unit SPA’s to the purchaser of the relevant unit. Thus, no purchaser of the Ebony1 (Project: H3-JBC9) will be surprised by this information as it remains entirely transparent to the purchaser throughout the purchase process. Our records indicate that the blogger (rohitd – Member ………) is NOT a purchaser of any Ebony 1 unit in his own name (also known as Jumeriah Business Center – H3-JBC9 ) and thus the blog statement made by this person is wholly unfounded. We would ask Mr Rohit …. to communicate his complete contact details, including passport details, correspondence information so that our Lawyers may take up this matter directly. We would appreciate that any such queries regarding our companies projects be directed to us in the first instance and we would to happy to address any such genuine queries in order to avoid any misrepresentation in future being aired on the Internet in such blog channels, which are wholly incorrect in fact and furthermore clarify our companies’ standpoint. In future we would kindly request that the Moderator or Active Member within this on-line community, kindly verify that all facts are clearly confirmed in order to avoid future instances of erroneous statements. DUBAI (Zawya Dow Jones)–Dubai’s Public Prosecution is detaining Kabir Mulchandani, chairman of Dynasty Zarooni Real Estate, amid allegations he defrauded investors of up to 450 million U.A.E. dirhams ($123 million), according to lawyers for the investors, government officials and one of his business partners. His detention is the latest in series of arrests in Dubai related to real estate and finance, but there’s no evidence at present Mulchandani’s arrest is related to any of the previous cases. Mulchandani, who couldn’t be reached for comment, has previously denied any wrongdoing. Al Zarooni confirmed that Mulchandani is being held for questioning in Dubai, adding that he hasn’t been contacted by authorities on the matter. Ali Al Hashimi, an attorney for Global Advocates & Legal Consultants who are representing Dynasty Zarooni, also denied that there had been any wrongdoing on the part of his client in a phone interview. Dubai police officials told Zawya Dow Jones Sunday that Mulchandani has been transferred from Jebel Ali police station to the custody of Dubai’s Public Prosecution pending an investigation of his case. According to law firm Al Shaali & Co., which is acting on behalf of the investors pursuing Mulchandani who have complained to the police, he is being questioned on two counts both subject to the Federal Penal Code and Dubai’s property laws. The first case relates to allegations that he conned a small group of wealthy investors into pledging large sums of money with the promise of a hefty monthly return. The second case involves the selling of property at the AED2 billion Ebony and Ivory development in Dubai’s Jumeirah Lake Towers district. According to Salem Al Shaali, the lawyer handling the case at Dubai-based Al Shaali & Co., Mulchandani took deposits for 20% of the property but failed to deliver the project. A visit to the site of the project by Zawya Dow Jones confirmed that no work was underway. According to the lawyers, Mulchandani had shown investors other buildings under construction in Dubai an effort to convince them that the project was ongoing. Jaydeep Anand, Dynasty Zarooni’s chief operating officer, declined to comment on whether Mulchandani was being held when called by Zawya Dow Jones. “I’m not the right person to comment on this,” he said and referred the call to Rajesh Gupta, Dynasty’s chief financial officer. Gupta didn’t answer calls to his mobile. Mulchandani was initially held by police earlier last week for an alleged liquor-related offense and bouncing a check for an undisclosed amount, which is an offense in the United Arab Emirates, an official at Dubai’s Public Prosecution told Zawya Dow Jones on Tuesday. He was later released on bail for AED46 million, but was re-arrested Thursday afternoon after further cases relating to the Ebony and Ivory development were brought against him by investors, according to Salem Al Shaali, a lawyer at Al Shaali & Co.
Al Shaali said Mulchandani’s bail has now been raised to AED76 million. Investors interviewed by Zawya Dow Jones who were involved with Mulchandani say they paid AED300,000 a month into the program for which Mulchandani promised a return of a million dirhams a month after the first six months in September. The investors, who asked not be identified, said Mulchandani had promised to invest their funds in Dubai real estate projects but had failed to deliver any returns, or their initial capital. According to the allegations being made by Al Shaali’s clients Mulchandani got a group of 12 investors to pay AED30 million in deposits for another real estate project in Dubai, called Al Quorashi Tower. According to Al Shaali, the project never existed. Earlier this year, Dubai’s Real Estate Regulatory Authority, or Rera, cleared Dynasty Zarooni of any wrongdoing after two Indian publications ran reports that some investors had complained Mulchandani had misled them by showing one property and selling them another. Officials at Rera were unavailable for comment when called. Dynasty Zarooni was created in September 2007 with the merger of the Hilal Al Zarooni Group and the Bahamas-registered business consultancy firm Dynasty Enterprises Inc. The company had a net equity of 1.35 billion U.A.E. dirhams ($367.5 million) at the time of merging, according to Zawya.com data. Dynasty Zarooni was the country’s top spender in advertising during the first half of 2008, overtaking Emaar Properties PJSC (EMAAR.AI). According to the Pan Arab Research Centre, the company’s ad spend for the first six months of 2008 was estimated at $10.58 million (AED38.8m). Leaping from an almost non-existent advertising spend in 2007, the new advertising budget accounts for around 1.8% of the company’s total business of AED21 billion. Investors interviewed by Zawya Dow Jones said that Dynasty Zarooni’s prominent advertising campaigns in Dubai, which showed pictures of the Ebony and Ivory real estate project under construction, had played a major factor in their decision to invest with Mulchandani. (Tahani Karrar and Majdoline Hatoum also contributed to this item). Dubai police are holding the chairman of Dynasty Zarooni, Kabir Mulchandani, amid ongoing accusations of fraud at the company from investors, according to reports. The firm’s lawyer told 7DAYS that the “allegations are groundless, and we are preparing our legal case”. Reports yesterday restated the allegations that the company had bounced cheques and made guarantees of returns to investors. Last week, Mulchandani told 7DAYS that there was “no question” of any cheques from Dynasty Zarooni bouncing. “If somebody can produce a bounced cheque of even one dirham, add five zeroes to that and we’ll give that amount,” he said. It is alleged that clients were requested to invest dhs300,000 per month with Mulchandani, which he promised would return profits of a million dirhams a month after the first six installments. Mulchandani claims that these payments were a membership fee that gave investors first right of refusal on new properties at pre-launch prices from Dynasty Zarooni. However, an investor told 7DAYS yesterday that even a membership such as this would be illegal for the firm to run. “He [Mulchandani] is not allowed to run a membership, the company is a DMCC-registered company and the approved activity for the company is business consultancy management,” he said. He added that around 40 investors had lodged complaints against the firm. On Wednesday, Mulchandani said that the number of investors making complaints about the company was irrelevant without evidence. “Unfortunately the situation that we have is that obviously they will all now form some sort of a union, because they all don’t want to pay. So if there’s say ten people who don’t want to pay, that doesn’t make them right, that makes them wrong ten times over. “You’d probably believe ten people but the fact is that if you need to see the documents,” he said. He also said that Dynasty Zarooni had not tried to act outside its remit as a buyer and seller of properties. “I’ve categorically said this every time, our sales team know it and our documents say it – we do not run an investment company. “We buy and we sell, when you sell you transfer risk and reward. So the upside is yours, good luck to you and the downside is yours if it does happen and that’s unfortunate,” he added. Mulchandani maintains that the investors now making criminal complaints against him are doing so because post-dated cheques given to the company for both the membership fee, and for properties they purchased, have bounced. “The problem in this market is that people were all here for the bull run and you need to have seasoned people to deal with problems and not run around in a frivolous manner and make allegations that are clearly false just because they are not able to meet obligations,” he said. WE have complaint and complaint, running around saying ” please hear us – they are Fraudster” – nobody wants listen to us. At least they said our complaints are criminal. And now ???????? Dubai Police have arrested a syndicate of tricksters of India origin, who have been operating in pretext of being real estate developers. The Indian national arrested are Kabir Mulcandani, a UAE national Hilal Al Zarouni and two other employees of ‘Dynasty Zarouni’ a company located in Jebel Ali for issuing bouncing cheques to different nationalities mainly Indians. Colonel Khalil Al Mansouri, Director of General Department of Criminal Investigation confirmed the arrest to Khaleej Times on Thursday. The officer said the fraudsters are in police custody and assisting in investigations, adding that they will then be referred to the Dubai Public prosecution for further action. Police sources said that they had received more than forty complains of different fraud cases against the suspects at various police stations and all cases were then referred to the General Department of Criminal investigation. Rajish and Alkopatra used to work as Finance Managers for the company. While Mulchandani and his accomplice used to convince ‘potential’ investors that they were licensed to invest money and were a real estate developers. They called on people to invest Dh 300, 000 every month and after paying 6 installments, the investor would get Dh1 million in return. However, after the investors paid all the installments, Kabir did not show up but went into hiding, until police smashed the racket upon their arrest. Salim Al Sha’ali, a lawyer for the suspects, told Khaleej Times that in order to convince their victims, the company announced massive media advertisements and introduced websites stating that they had successfully invested in development of real estate projects in the UAE. The company claimed that their total investments reached Dh40 million realizing a revenue of Dh2.8 billion. Dynasty Zarooni Chairman Kabir Mulchandani arrested in Dubai? His accusers are “misguided” ? Kabir Mulchandani, the chairman of property investment consultant Dynasty Zarooni, has been questioned by police over claims that he promised massive returns that never materialised. Our records indicate that the blogger (rohitd – Member aka. Mr Rohit Dadakar.) is NOT a purchaser of any Ebony 1 unit in his own name (also known as Jumeriah Business Center – H3-JBC9 ) and thus the blog statement made by this person is wholly unfounded. We would ask Mr Rohit Dadakar to communicate his complete contact details, including passport details, correspondence information so that our Lawyers may take up this matter directly. I have recently bought an office in the ebony tower through dynasty zarooni. They have been advertising heavily in Gulf News recently. I want to warn all my fellow investors to beware of the contract that they are signing with DZ. If you check the website of Al fajer Properties, floor plans of their typical floors does not exceed 11,300 square feet, as per the spreadsheet attached to the MOU of sales between Dynasty & Al fajer where clearly sellable area has been mentioned. however Dynasty without any legal grounds and any such permission is adding 30% to the area and are currently selling and advertising even on the web for the floor area to be 14,664 sqft. So on handover of the property the buyers will be in for a shock and dynasty is no where to take responsibility because they take their premiums out of the contract long before. I have made enquiries neither the developer Al Fajer Properties nor DZ has an escrow account, please advise what legal action can I take at this stage? I recently booked an office with Dynasty Zarouni in the highly advertised Ebony Tower. I have been baffled ever since I bought it because my office space as per my contract is 14,664 sq ft and I came across a shocking document of MoU signed between DZ and Al Fajer Properties along with the spreadsheet of sales and floor plans which clearly states the floor size to be 11,300 sq ft. This difference roughly amounts to be 30% and is an indigestible difference. Transparent calculations have shown that DZ has already or in some cases is currently receiving premiums from the contract. What is the procedure for taking legal action! Alot of things don’t make sense here and I hope I can find some answersThere is a big “IF” attached to my presumably new office set up i.e if DZ is not a total hoaxIn one case, I m losing quite alot and in the second one I stand to lose everything. I have paid my agent to get the story straight. They published fake pictures in gulf news.